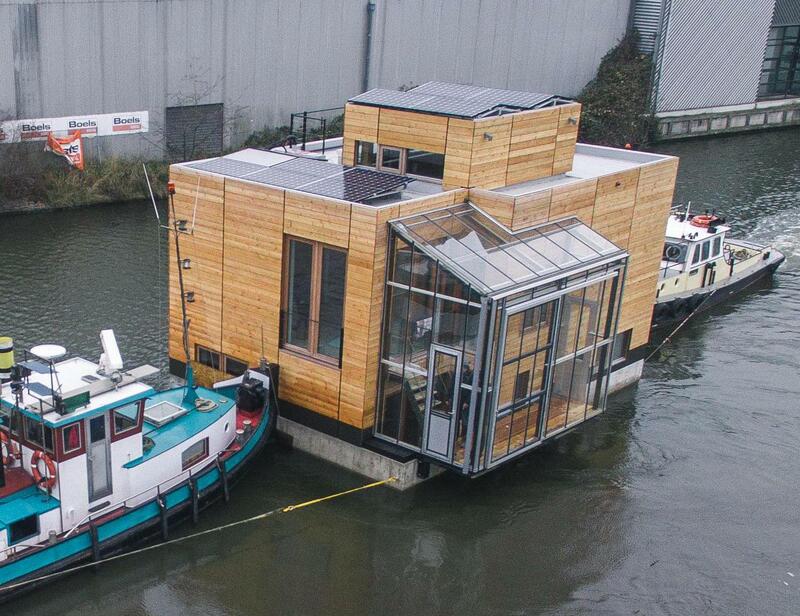 Residents have started moving into a innovative new houseboat community in North Amsterdam called Schoonschip (clean ship), which aims to become Europe’s most sustainable floating neighbourhood. Schoonschip will comprise 47 houseboats on 30 plots for over 100 residents, who will move into and revitalize a disused canal. Designed by architects Space & Matter and drawing on a sustainability masterplan by Metabolic, the boats of Schoonschip are to be built using low-impact circular materials – for instance, one household will use bales of straw as insulation. Energy will be produced by 500 solar panels, while heating will be generated by 30 water pumps as well as passive heating from the sun and from the canal water itself, and for some simply putting on a thick jumper is part of the plan. As a result the homes will use zero gas. A third of the roof surface will be dedicated to a roof garden to help cool down the city in the summer. Energy systems company Spectral has developed an advanced smart-grid which features local PV production, battery storage, solar collectors, thermal storage, a smart heat pump, and other smart-grid ready appliances. The community will be using blockchain technology to exchange the clean energy generated on the houseboat roofs and saved in batteries. To do this, a private micro smartgrid, named ‘Jouliette’, is being developed for efficient peer-to-peer energy exchange. The neighbourhood will have just one single connection to the national grid. The water supply will be separated into white, grey and black water systems. Grey (shower water) will be reused. Municipal water company Waternet will harvest the black waste water and transport it to a biorefinery to be fermented and converted into energy. All households will become members of a cooperation, with regular meetings to inspire them to further reduce their ecological footprint by car-sharing, buying local produce, reducing waste and saving water. 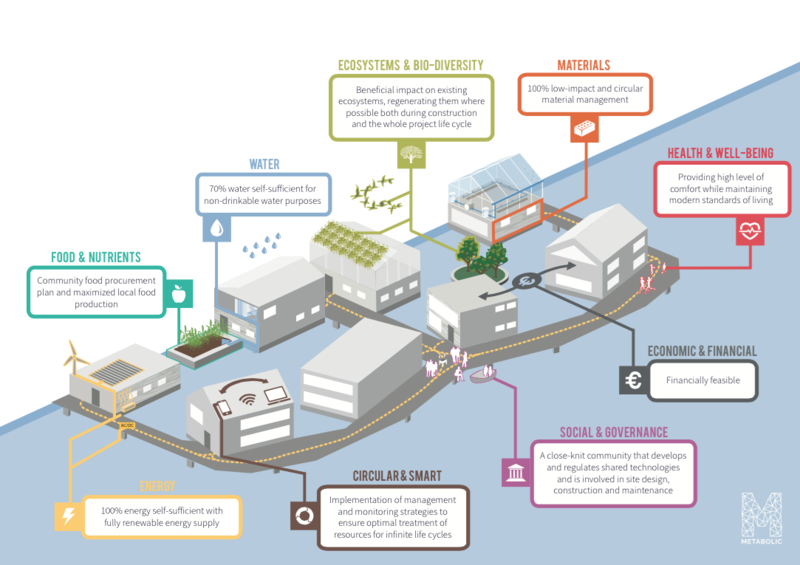 Schoonschip aims to become a frontrunner in pioneering sustainable technology by working together and exchanging ideas, from low-tech solutions like using Tupperware for takeaways to high-tech systems such as blockchain data.